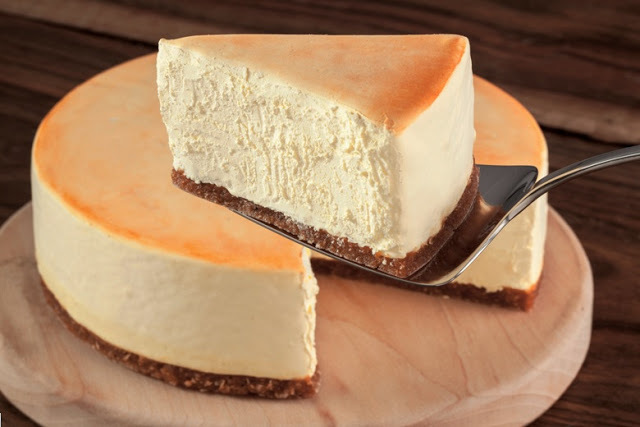 this delicious tofu cheesecake on your own. Directions: Combine all of these ingredients into a bowl or Food Processor and blend until smooth. If you do not have a food processor an electric hand mixer will do just as well. Pour into Graham Cracker Shell. (Keep the plastic top that comes with these shells, they can be used to cover the Cheese Cake. Bake for 14 minutes in a oven temp 350 degrees. Take out of the oven and put the plastic top back on it (upside down so that it does not stick on the cheese). Freeze for 30 minutes, and then put it into the refrigerator until you are ready to eat it. Yum, Yum!!!!!!! You can top this with any fruit that you like pineapple, blueberries, strawberries, vegan Carmel and nuts etc. If your to make your own! Don't forget to share, both meal & page... Enjoy. So does this make one cheesecake or two?? Also, tofu cream cheese...you mean any brand of vegan cream cheese, right?? Do you mean TOFUTTI Cream Cheese? The pie shell doesn't count. 1/2 a lemon? Do you mean "Juice of 1/2 a lemon"? I did it with the juice of a whole lemon, and a little bit of zest too. And I added a teeny bit of vanilla more than this. It came out great. I am glad you enjoyed it, but I like it with more vanilla so I only use a little lemon. Lol, I meant the Juice not the lemon. took it out of the oven after adding a few minutes, it si pretty jiggily, will it firm up? Just put it in the freezer for one hour or the refridgerator for two hours. It will definitely firm up once it is chilled. I just took this out of the oven, and it was more than jiggly- it was liquid with a bit of slightly cooked top...it is now in the freezer...will this set up? The Tofutti I bought was much creamier and less firm than past ones so am concerned it will be a big failure! Looks like it is still too liquidy after 45 min in freezer and several hours in fridge. So I am going to wait a while longer, then pour it into the processor to reprocess and put some agar in it. I think the problem is that the Tofutti was too soft to start with, and adding lemon juice didn't help. Yes it was runny so I poured it out and added some prepared agar to the mix..2 tsp and that firmed it up. Hi, and thanks for this recipe. I also made this one time, and although it was tasty it was not very firm even after being in the refrigerator for more than 24 hours. Would adding agar help? And if so, where in the process should it be added? Thanks so much. Seriously? Thus has nothing to do with a vegan cheesecake recipe. Bitcoins have been proven to be a scam.